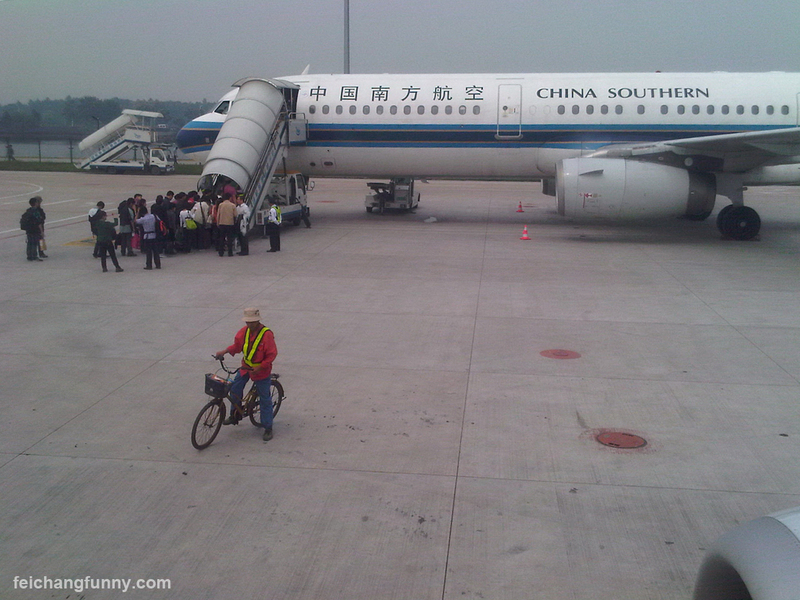 There’s something about airport employees biking around the tarmac and waving goodbye to passengers that’s just so friendly. 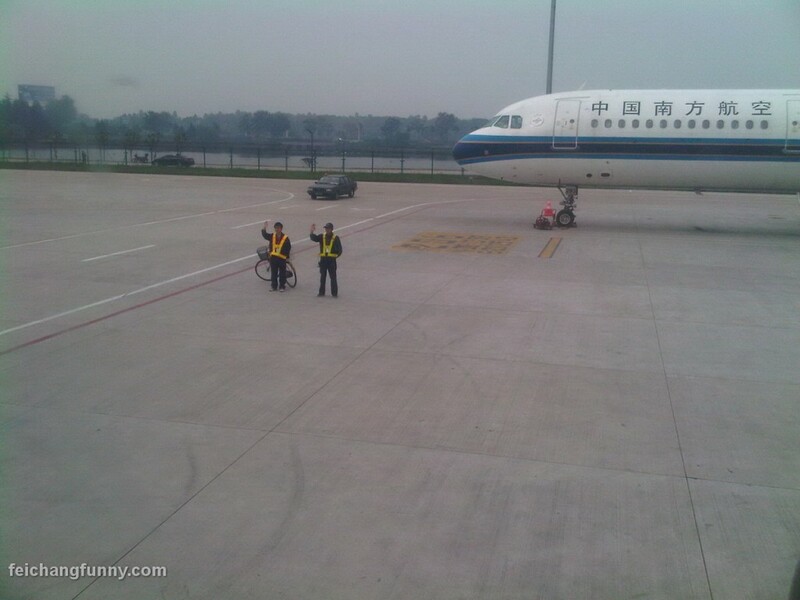 Goodbye Hangzhou! 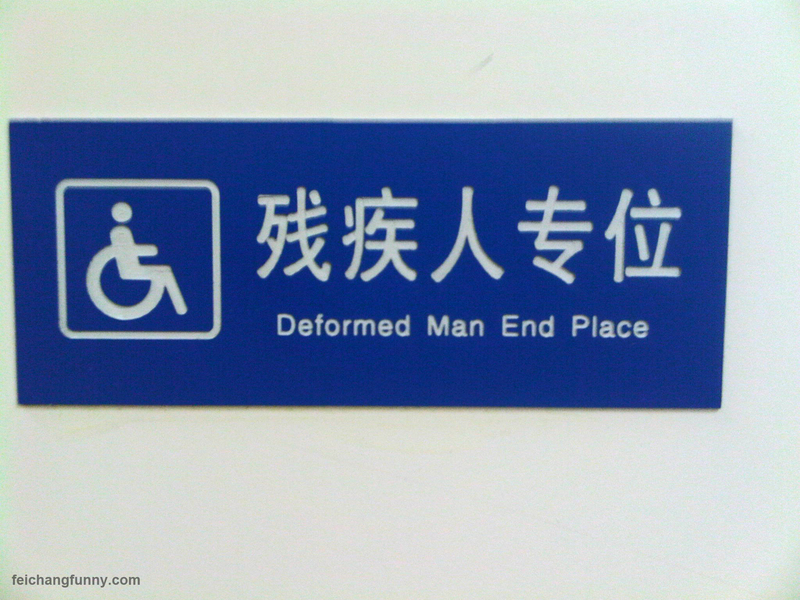 Some people call it a handicap bathroom, the airport in Chengdu calls it a Deformed Man End Place.